MUNICH -- BMW AG is considering building two new factories in emerging markets. The world's largest maker of luxury vehicles continues to evaluate sites for a plant in Brazil, something that was originally reported in March during BMW's annual financial results press conference, as well as another factory in Russia, India, Korea or Turkey. CEO Norbert Reithofer discussed the plant expansion plans today at the company's annual shareholders' meeting in Munich. BMW no longer uses the term BRIC -- Brazil, Russia, India, China -- for developing markets. Instead, the carmaker has a more up-to-date acronym, BRIKT, which replaces the C for China with Korea and adds Turkey. The manufacturer plans to pay a record profit-sharing bonus this year based on its 2010 results. Employees paid under collective-bargaining agreements will receive an average of 5,840 euros, the equivalent of 1.6 times monthly wages. The company confirmed its goal of increasing profit this year and selling more than 1.5 million vehicles, up from 1,461,166 BMW, Mini and Rolls-Royce cars last year. 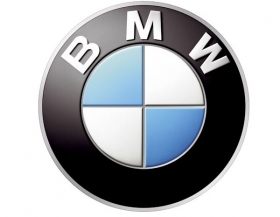 BMW Group's best sales year was 2007 when it sold 1,500,678 units of its three brands.